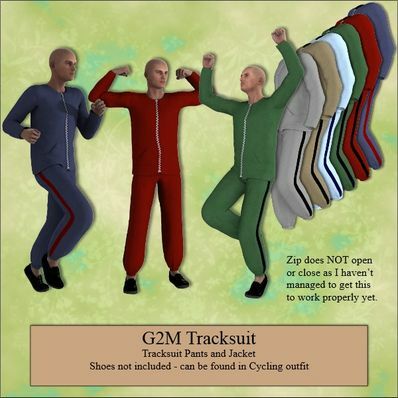 Tracksuit Pants and Jacket for G2M. Very handy to have for G2M guys. Thanks! If you get grey blocks it means that the data files have been installed in the wrong place. Thanks! We needed a track suit! Thanks, I really enjoy your clothing. Sent a donation along today to help with it.